No matter where you are in your business, hiring a marketing consultant to conduct analytics, to evaluate your current strategy, to help you set new goals, to devise new plans, to help you better reach existing audiences, and to reach new audiences (among other things) will have immeasurable benefits. A marketing consultant’s services benefit your business whether you are just starting out or are well-established or are somewhere in the middle. You may think you have a handle on marketing, but if you find that your business is growing slowly or has stagnated, then hiring a marketing consultant is a good idea. Many business owners erroneously think that they can do what marketers do or that “word of mouth” will organically grow their business and while word of mouth is still the greatest thing since sliced bread, just as bread won’t help a body grow strong and fast without other nutrients, nor will word of mouth grow a business strong and fast without other tactics. When starting a new business, a marketing consultant can examine the existing market place, identify where need exists, can define your audience, and can help you strategize an approach for reaching your audience (among other things). If your existing business has stalled, a marketing consultant can employee strategies to determine where problems lie. Many brands will start strong, but they will fail to evolve or to change tactics. Audiences get tired of the same-ole-same-ole and stop noticing the brand all together. When you’re expanding your business, a marketing consultant can determine new audiences, how the product or service will benefit them, and how to reach them. Marketing consultants help brands establish, reboot, and grow without wasting resources. Objectively, you probably know what your goals are¾you want to have a profitable business. You might also want to expand your business or for it to become a source of passive income. A marketing consultant will help you identify step-by-step actionable tasks to help you achieve your goals. Further, they will sit down with you and help you come up with reasonable and achievable short and long–term goals. Without the skills, experience, and resources to identify realistic goals, many business owners set themselves up to fail or to misallocate resources. Brands collect a wealth of data on how they interact with customers. Data reveals what strategies are most effective, when audiences interact with brands, when conversions happen, etc. ; however, most business owners lack the time, acumen, or interest in dealing with data analytics and therefore don’t. They continue doing “what seems to work”, which means they are most likely expending time, energy, and money that could be conserved or used elsewhere. Marketing consultants are well-versed at analyzing data from multiple sources and translating that data into meaningful knowledge and information. Because they are experienced at doing this, they can do it more quickly than a conservative business owner who is wary to spend money on “extra” services where the benefit isn’t immediately apparent. By hiring a marketing consultant, you can get a broad snapshot of your business’s performance, how you’re impacting your audience, the impressions you create, and how to improve. You can get a detailed by-the-numbers image of how your business is performing, where you’re spinning your wheels, and where your resources are best-used. They can save you time, money, and effort over the long-run. 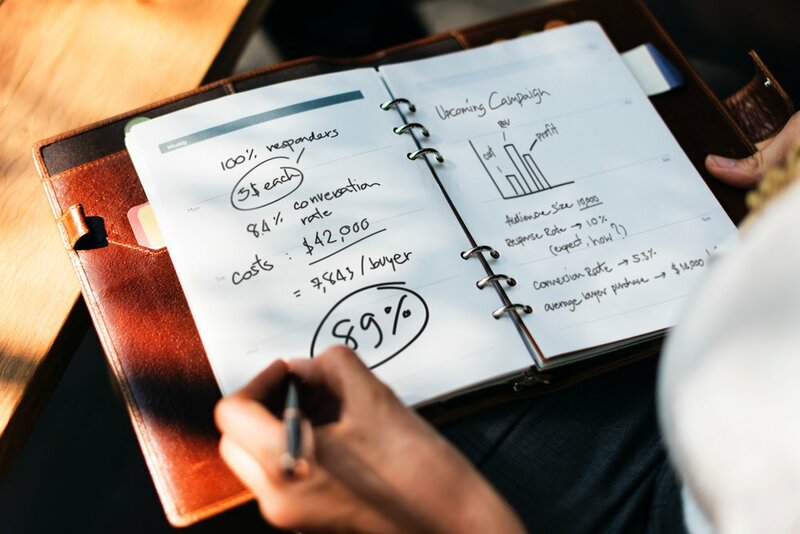 The knowledge and information gleaned from a marketing consultant can help you set actionable and achievable short and long–term goals, which will ensure your business stays profitable and that it has lasting potential. There is a lot that goes into running a business and into making that business a success. The reality is that business owners can’t do it all nor can they do it alone. A marketing consultant can help you grow or develop your business, set goals, and analyze data and use that data to benefit your business. The Storyteller Agency understands this. Contact us by clicking this link and let’s talk about how we can help you achieve these measures with your business.